The next generation of advanced age-defying skin care is here: TimeWise Repair® Volu-Firm® Advanced Lifting Serum, our most precise and powerful serum ever. Precise, because of its innovative, targeted defense of your triangle of youth. 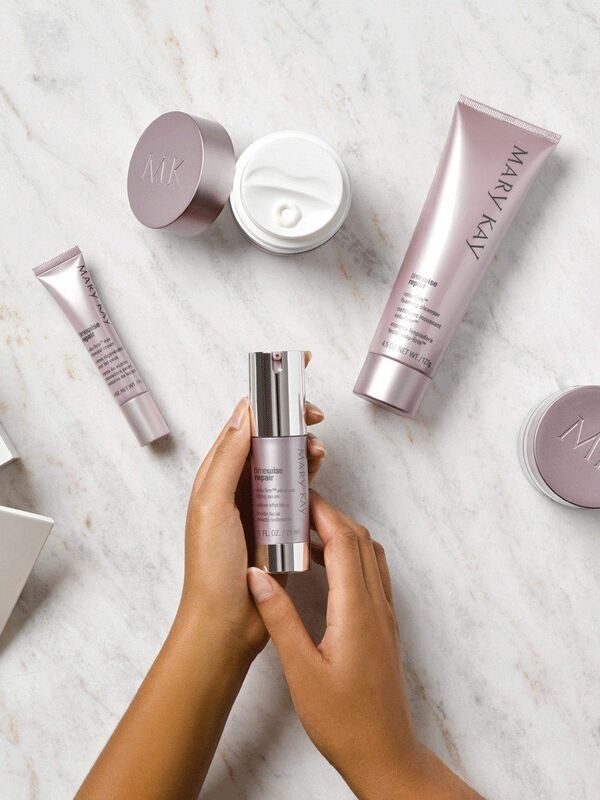 Powerful, because of the unique ingredient synergy designed to enhance the serums visible lifting benefits. 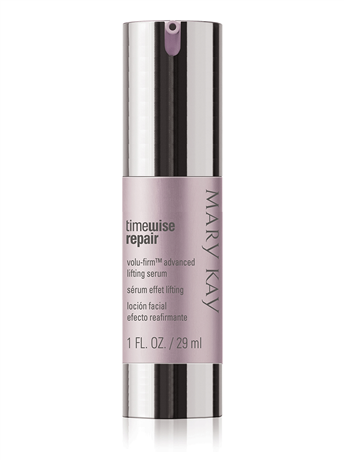 Volu-Firm® Advanced Lifting Serum concentrates its action by reclaiming your triangle of youth. This triangle -- full cheeks, a defined jawline, a taut neck -- embodies youthfullness. But as skin ages, this area can become compromised. The cheeks can appear hollow. The jawline can start to sag. And crepiness can begin to show on the neck. 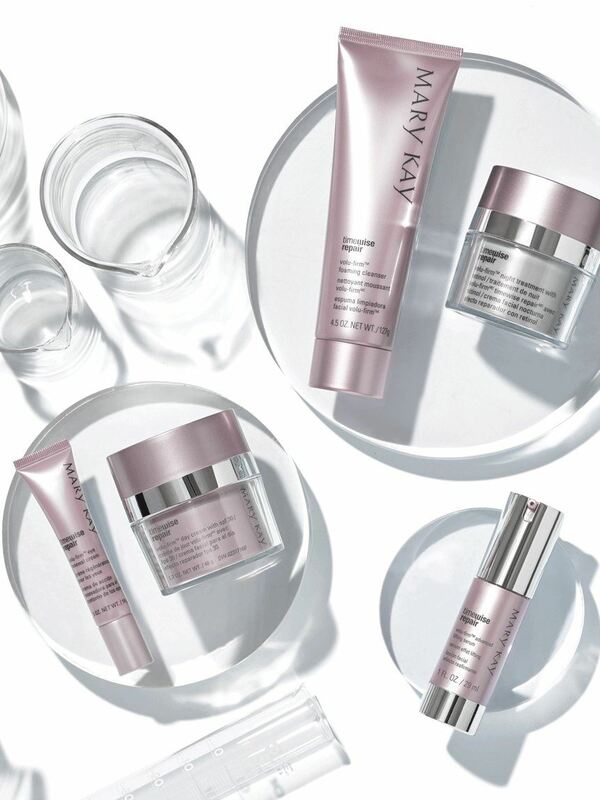 Your best defense is Volu-Firm® Advanced Lifting Serum. With this advanced formula also comes updated packaging with added features to make life easier. Volu-Firm® Advanced Lifting Serum now comes in an innovative bottle with a twist-lock feature and an airless pump that ensures you will get every last drop of the formula. We've also taken the guesswork out of how much of the serum is left with a transparent usage window on the side of the bottle that indicates when it's time to order more. A biomimetic peptide: helps support two of skin's natural processes†† to help improve the appearance of sagging and wrinkles. 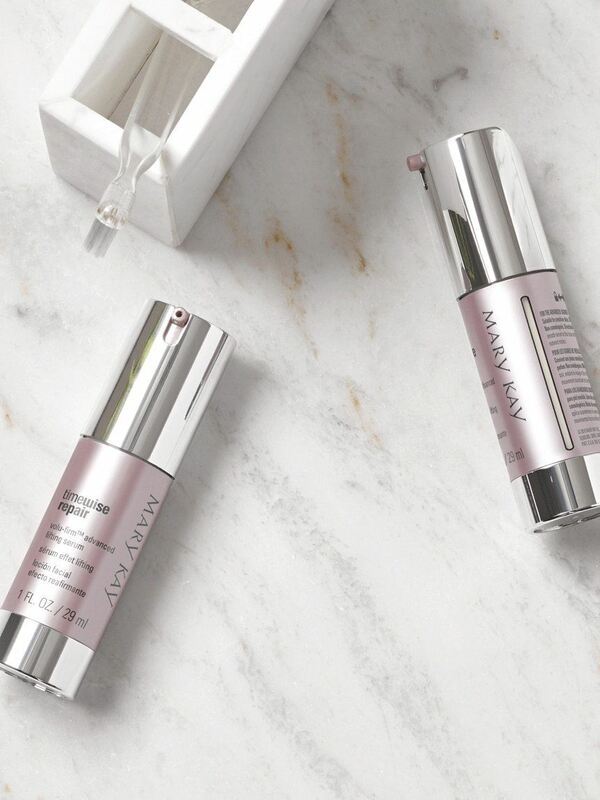 A skin-volume-supporting peptide: helps maintain natural hyaluronic acid,†† a vital component of skin that plays a role in helping maintain youthful-looking volume and lift. *Based on one 12-week independent clinical study in which 45 women used the serum twice a day. Numbers reflect the percentage of panelists who showed improvement. †Based on bio-instrument testing. Number reflects percentage of panelists who showed improvement. See for yourself: After using Volu-Firm® Advanced Lifting Serum there was a noticeable improvement in skins overall appearance and the look of wrinkle severity.